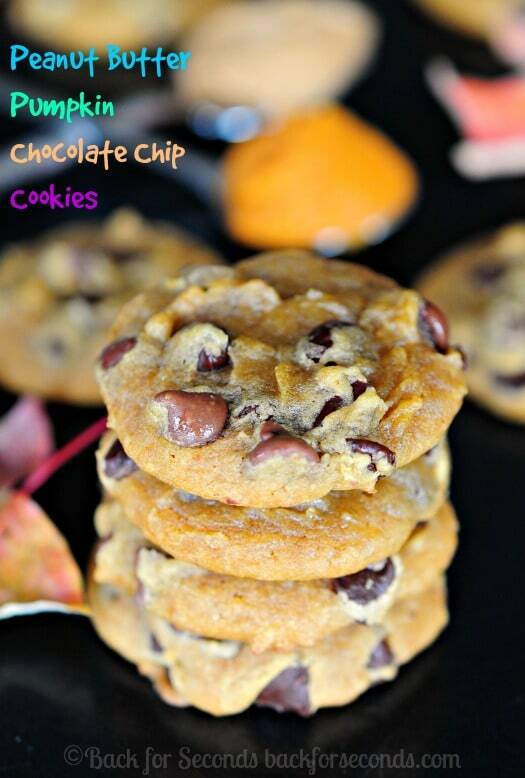 These are seriously the BEST Pumpkin Chocolate Chip Cookies ever! They are soft and chewy, loaded with chocolate chips, plus a secret ingredient that will make you swoon! Oh my word. These cookies!! Say goodbye to all of those pumpkin cookie recipes that are spongy and cakey. 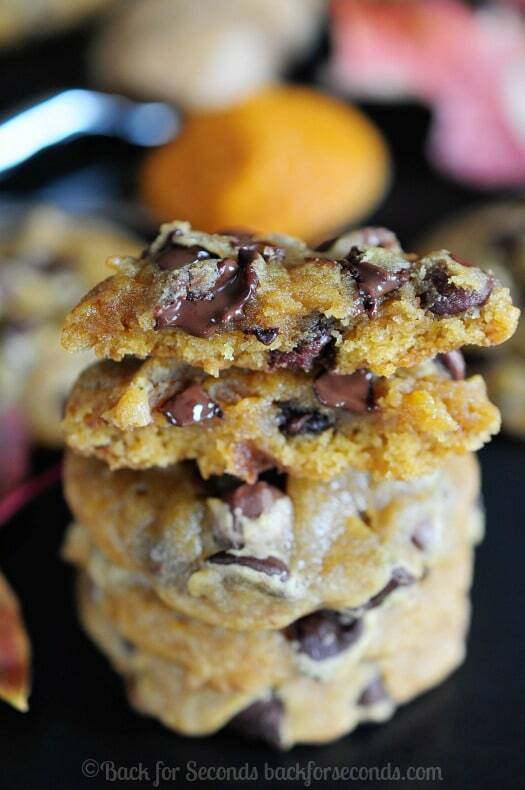 These are the Best Pumpkin Chocolate Chip Cookies. They are soft and chewy and are made with peanut butter! What could be better?! Have you ever tried pumpkin and peanut butter together? If not you are truly missing something wonderful! I have been baking with this flavor combo for a while now, and each time it kind of surprises me how amazing it is! I did not used to like pumpkin, but all of that has changed. If you think you don’t like pumpkin – try these cookies! I just can’t think of much that’s better than cookies fresh from the oven. These soft and chewy cookies with oozing chocolate chips are seriously delicious! 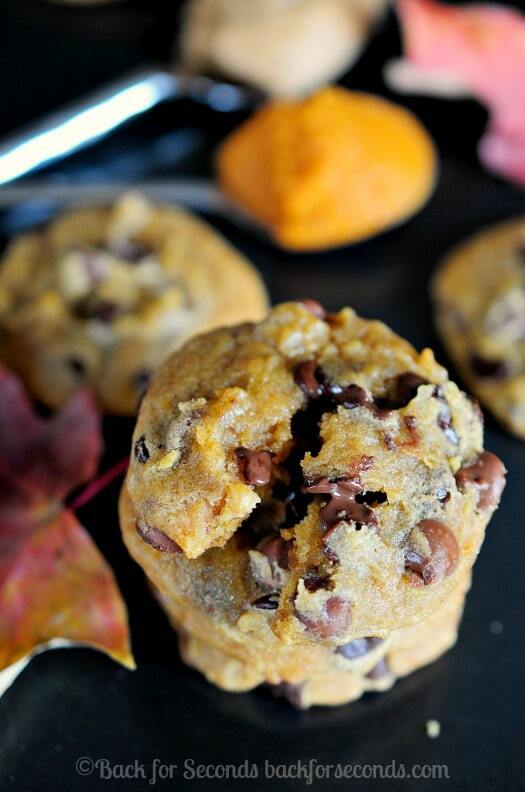 The ultimate fall cookie! These are fabulous. There is nothing quite like chocolate chip cookies, so comforting. Love that you put a fall spin on them. The combination of chocolate and pumpkin is one of my favorite! I’m in awe! I would love one of these right now! The texture of these looks perfect! Yes! I can see how soft and chewy and fabulous these cookies are Stephanie! I could use a couple right this second 🙂 Pinned! I agree, pumpkin and peanut butter is a combo everyone needs to try! Great looking cookies. I have a Halloween party tomorrow night, these would be the perfect thing to bring with me! Thank you! 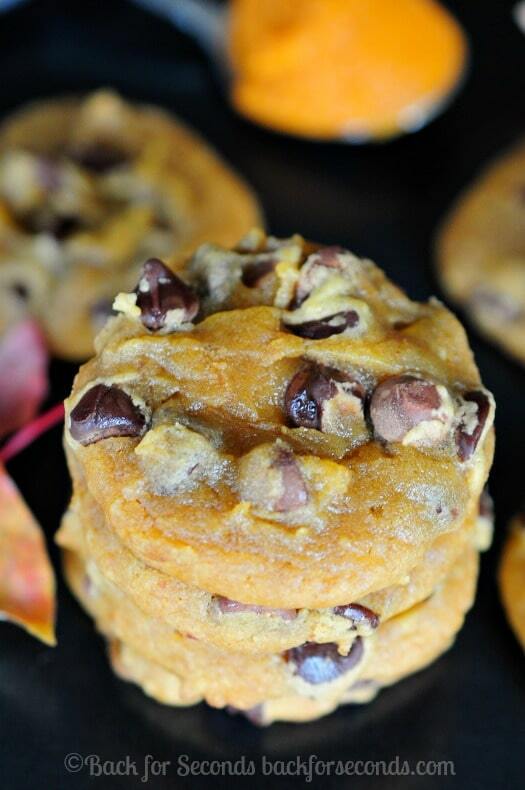 These cookies look perfect with Fall flavors!